The Herman Yau Lai To directed suspense drama THE LEAKERS (SIT MUK JEH MOON) starred Francis Ng Chun Yu, Julian Cheung Chi Lam and Charmaine Sheh Sze Man. 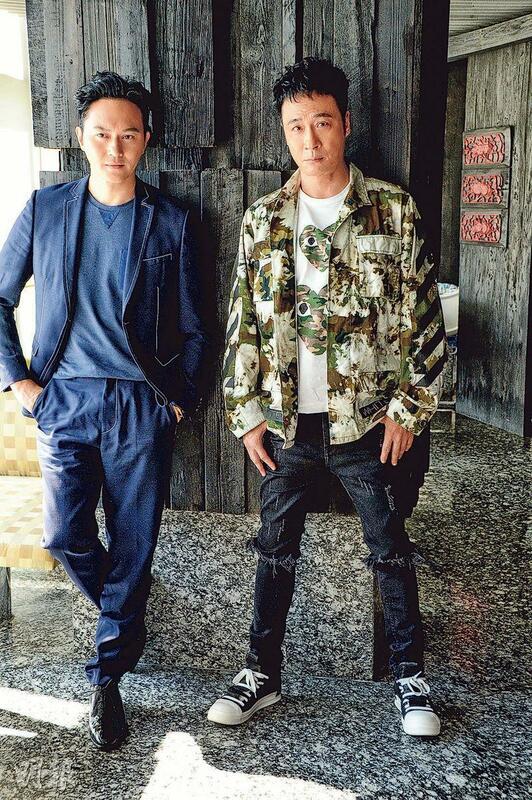 Chun Yu and Chilam worked together again, instead of pilots they teamed up as cops to investigate a case. The fathers aside from acting also exchanged child rearing advice. 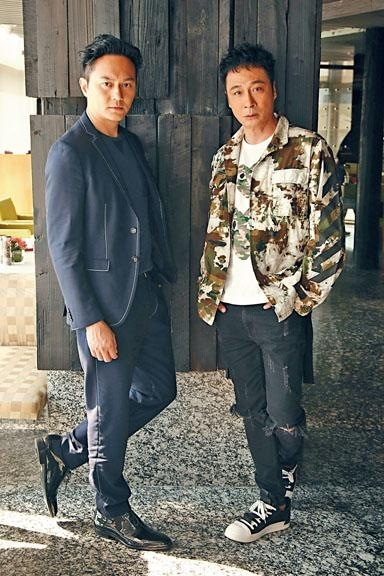 Chun Yu said that his son was too fat, but Chilam thought his son was too thin. Thus when they went swimming he would not wear anything loose. The team last went to shoot on location in Penang. In the story a Malaysian drug company used a new variation of infection disease to make a profit. A self proclaimed "leakers" mysterious organization revealed the conspiracy of the drug industry. After his son who worked at the drug company and a reporter committed suicide in mysterious manners, Malaysian cop Lee Wing Kun and Hong Kong cop Wong Tai Wai teamed up to find out the truth. Later "Leakers" contacted Hong Kong Daily reporter Yuen Ka Lan for a meeting. The two cops also followed their whereabouts and the trio began their interaction with "Leakers". After the television series and film version of TRIUMPH IN THE SKIES (CHUNG SEUNG WON SIU), Chun Yu and Chilam worked together again. This time they turned from pilots into cops. In the film they had many chase scenes. Chun Yu admitted, "There were car chases but the doubles did them all. (Now do you rarely perform your own stunts?) Don't they have to work too? Personal and stunt double performance to the audience aren't different. We aren't playing Ip Man. If I played Ip Man I would have to fight personally." Chilam felt that the toughest was speaking Malay. "A Malay line took 20 or 30 takes. I thought I had a knack fo language, but this time I had no idea what I was speaking. Although the translator taught me, it was very hard to learn." They joked that the toughest part of making this film was nonstop eating. Chilam said, "My stomach was very tough. Because we were shooting in Penang, we kept eating durian. We realized there were many different types. Aside from 'Musang King', there are 'Wong Fei Hung', 'Aunt 13', 'Joan Lin', but 'Joan Lin' was sold out that day and we didn't have a chance to try it." Chun Yu said that Chilam did not eat durian before. Chilam said that now he has been integrated and become addicted. He also revealed Chun Yu loved to drink with his durian, which was no different from sword swallowing. Speaking of how fattening durian was, Chun Yu said that he had to gain weight for his character. After LEAKERS, they worked together again on another film DEATH NOTIFY (UM HAK JEH). 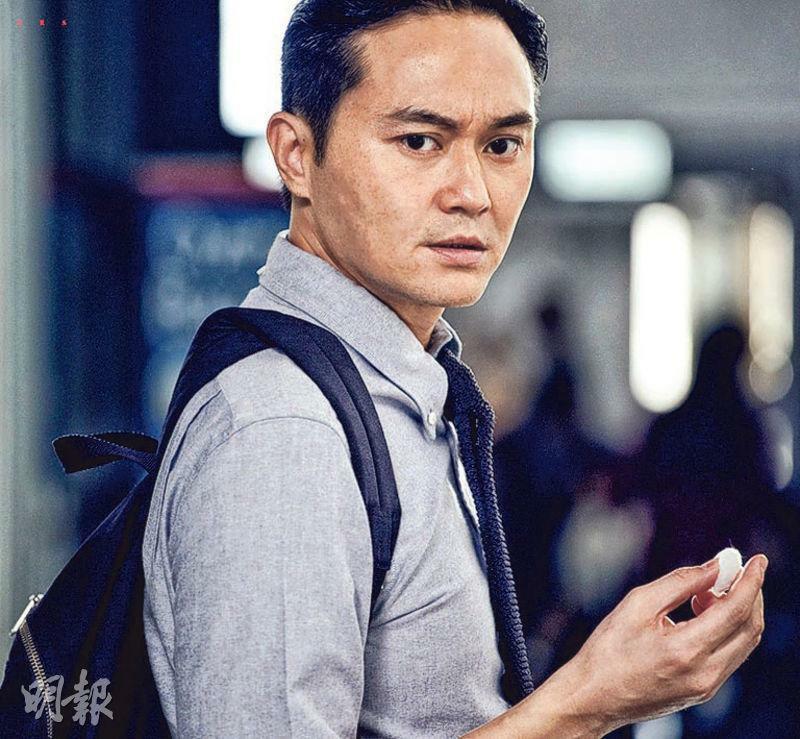 Chilam revealed that in the new film he would play a cop as well. He joked that he has been a cop for an entire year. Working with the same actor all the time, although they could cultivate certain chemistry Chilam hoped to be able to set new spark. Thus he would study how to perform differently. Speaking of their sons, the fathers could not stop talking. Chun Yu said that his 9 year old son used to be a "string bean", now he is chubby and weighed around 100 pounds. He even revealed that earlier when his son went to buy a pair of swimming trunk, the sales clerk thought he was a girl and gave him a bikini. Chilam also pointed out that later he would arrange for their children to meet. Chun Yu suggested for them to go swimming together. However his son was too fat and would not take off his shirt. Chilam also said that his son was 11 but was too thin at only 60 pounds. Thus he would not wear anything loose. Would their children be interested in acting? Chun Yu said that his son was fat and had no acting ability, his dream was to become a youtuber. Now he was the most afraid that he would shoot his dad in the shower. Chilam said that actually Chun Yu's son was the leaker. He also said that his son like skateboarding and wanted to become a professional skateboarder.